Whether you want to make a single grape varietal wine or a blend, RJS Craft Winemaking kits are made with the finest juices and concentrates to make your favourite wine styles. Use our wine selector to learn more about wines you love and possibly discover new wines that might be your next favourite. Zinfandel (also known as Primitivo) is a black-skinned wine grape variety. 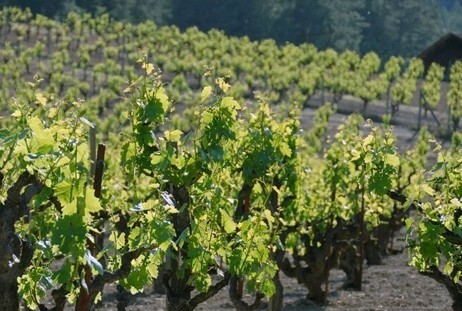 It is best known in California where it has been grown since the mid-1800s, and is now found in over 10% of vineyards. DNA testing revealed that California Zinfandel is genetically the same as the Italian variety called Primitivo, which was introduced to Southern Italy in the 18th century, most likely from Croatia. The origin of the name “Zinfandel” is not known. Zinfandel is a red wine grape that makes light, medium and full bodied wines with pronounced berry aromas and flavours. Zinfandel is lighter in colour and body than both Cabernet Sauvignon and Merlot, but its moderate levels of tannins and high acidity give it a bolder taste. Zinfandel’s versatility allows for the creation of a range of wines, some of which are slightly sweet and can be drunk young. Others, with stronger tannins, are more appropriate for aging. Since Zinfandel falls on the sweeter, fruitier side of red wine, its easy drinking taste makes it a great pairing partner with crowd pleasing dishes like tacos with spicy braised meats and Indian style beef curries. It’s also the perfect wine to bring along with you to a pot luck. More likely than not there will be several dishes on the buffet table that pair well with Zinfandel.